Remote & app management for all your electronic devices. IDS now offers a Cloud-based support for maintaining and servicing all electronic and networking equipment. 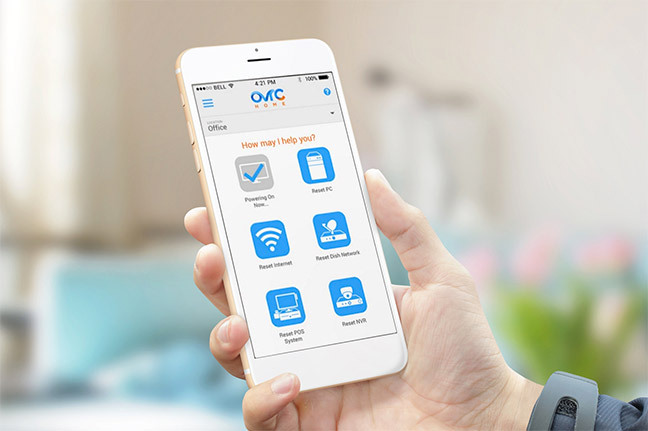 Powered by OvrC, this allows remote access from smart devices to instantly reset or resolve technical issues. OvrC’s cloud-based platform enables IDS to provide outstanding customer service and technical support to our clients. Proactive Service: We can keep an eye out for slow internet speeds or malfunctioning devices. We can receive alerts and troubleshoot common issues before clients even realize there’s a problem. Discreet Remote Service: If your system goes haywire, IDS can investigate and service common issues remotely, without disrupting your home or your schedule. Personalized Mobile App: Through a custom-configured mobile app, our clients have the option to fix common issues on their own time. Manage Firmware Updates: IDS can solve problems and upgrade devices remotely. New features and new functionality are constantly being added to this service! Contact us today to find out how our Cloud Support Plan can help you! Kindly complete the form below. We will respond to you within 24 hours or by the next business day. Thank you! And don’t worry — we’ll never share or sell your email address; we value your privacy.